This prestigious development of beautiful villas is set amongst rolling hills and Vale de Lapa cliffs offering fantastic sea views and is just moments from Carvoeiro village centre. Al Gharb is a modern villa constructed in a traditional style offering a high degree of comfort both indoors and out. Set in mature gardens the generous sized pool area takes full advantage of the sea views and has a superb built in barbecue and dining area and will be a memorable setting for sunset drinks and summer al fresco dining. 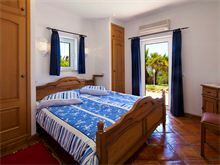 The interior is tastefully furnished and all the bedrooms offer twin style mattresses on king sized double bases with doors to terraces and en suite bath or shower rooms making this villa perfect for couples and families alike. Approximately 300m from the nearest restaurant, 1km from Clube Carvoeiro tennis and 3.5kms from Carvoeiro town centre and the beach. Electric gated driveway leads to entrance. Entrance hall, with guest cloakroom, leading to double bedroom (twin mattress on a double base), doors to terrace and shower room en suite. Further double (twin mattress on a double base) with doors to terrace and shower room en suite. Large kitchen with fridge freezer, dishwasher, microwave. 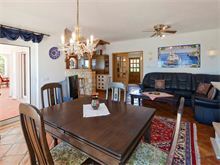 Sitting/dining room with ceiling fan, TV, DVD, stereo, doors to pool terrace and nautical themed bar area. 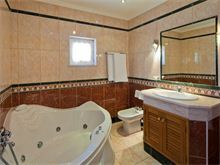 Upstairs to master bedroom with double bed (twin mattress on a double base) with doors to terrace with sea views and Jacuzzi bath en suite with separate walk in shower. Doors from sitting room lead to covered pool terrace set in mature landscaped gardens, built in barbecue. Maid service 5 times per week, laundry by arrangement. Air conditioning is available at additional cost, if required. Superb villa, spacious and well appointed inside. The villa was great, really clean and well equipped. Only a short drive from the town and a two minutes walk to the beautiful cliffs. Stunning villa, the maid service were excellent. Faultless. Definitely chose Affinity Villas again . 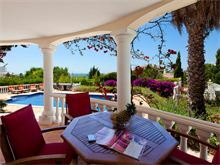 The villa was in a superb position with stunning views of the sea. 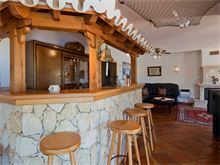 The villa is in a secluded area but only a short taxi ride into Carvoeiro town where there are numerous bars and restaurants. 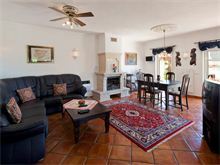 We would have no hesitation recommending this villa to our friends and family. Everything you needed to know was in an information pack left at the villa supplied by Affinity Villas. 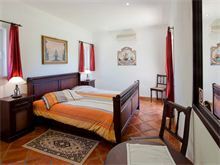 Casa al Gharb was a lovely villa; ideally situated in a quiet location yet only a short drive to amenities. 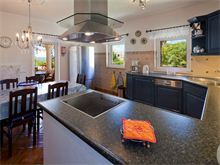 We loved the pool and gardens, and the kitchen was well equipped. The bar is very quirky and a real talking point! We will definitely return. The villa blew us all away! It was so much more than we had imagined - the size , facilities, the outside eating areas, the pool, the beautiful flowers, our own bar! It was all perfect. This was the first complete family holiday we have had together and with wall to wall sunshine it was a perfect holiday - we all loved it. We had initial concerns that we had no access to a washing machine but the maid put through a daily wash so this was not a problem. The maid was such a lovely lady and just worked around us if we were around. For me having my family altogether in such a wonderful place and location was a dream come true. Just perfect. 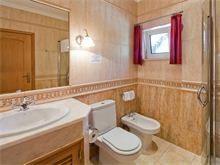 The villa was well appointed, as described and presented very well. 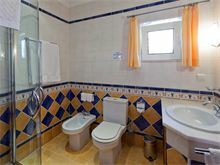 Fantastic villa, exactly as pictured, spotlessly clean and wonderfully equipped. Beautiful location with ocean views, close to Carvoeiro town. Lovely pool and outdoor entertaining areas. Perfect vacation, would definitely return to this property. Thank you. The villa was fantastic and well worth the money. The maid is lovely. It's a little far to walk to any shops but there is a basic restaurant 2 mins walk around the corner - food & drink very cheap but lovely - the staff are very helpful. Lovely villa location and weather. Carvoeiro definitely best place to stay and views excellent. Recommend a hire car as its a trek to the town. Can't fault the villa and location though. Lovely villa in a quiet area. Clean good pool with ocean views - perfect for a relaxing holiday. Beautiful villa in peaceful location with views to the sea. Very well equipped with everything you might need and more. Extensive gardens surrounding the villa, all beautifully kept. Local restaurant about 3 mins walk away. The villa exceeded our expectations in every respect and we intend to return again next year. 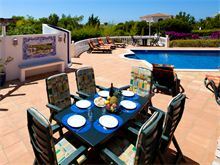 The villa is luxurious with a well maintained pool and gardens and it is in a great location with a sea view. 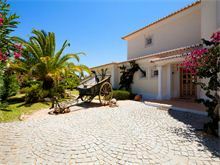 The villa was magnificent and, as a result, we booked for 2016 whilst in Portugal at the same premises.